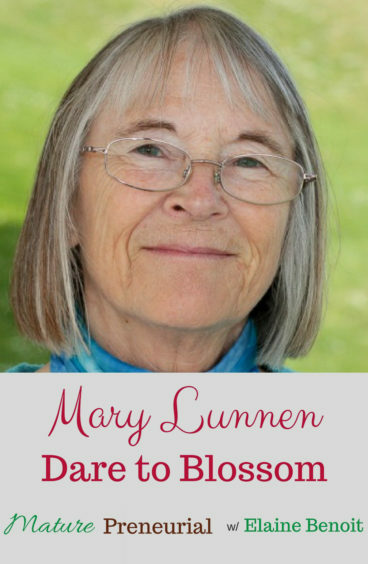 Mary Lunnen’s Dare to Blossom Rediscovery Process helps people rediscover their inner wisdom using a simple pack of cards with a single word and a color. Mary Lunnen lives near the dramatic coast of North Cornwall, in the far south west of the United Kingdom. Her passion is helping people to find their way home to themselves; to rediscover their inner wisdom. She does this through the Dare to Blossom Rediscovery Process using a simple pack of cards with a single word and a colour. This powerful tool brings people back into conversation with their own truth. As well as one-to-one coaching, Mary runs workshops and online courses. She draws inspiration from her love of the sea and the natural landscape around her home, which she explores in photography and art. Mary began her own journey of coming home after a diagnosis of cancer in 1994. She has been daring herself to blossom ever since. The diagnosis sparked a practice of journalling that grew into four published books and many articles and blog posts. 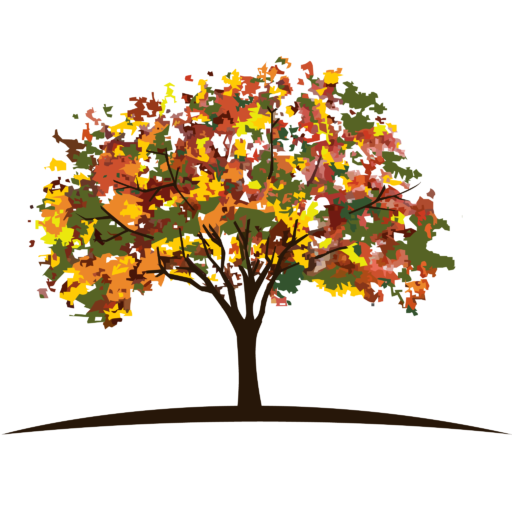 Since 2003 Dare to Blossom Life Coaching has supported individuals and business people around the world. 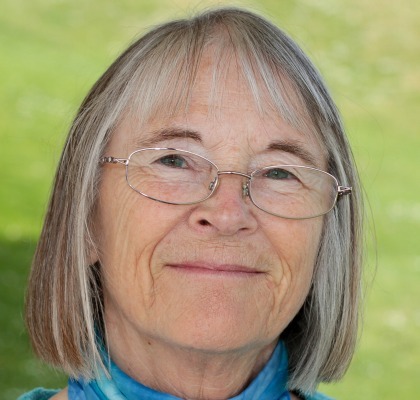 Mary runs inspirational workshops and on-line programmes using all the skills she has acquired and focusing around creative visualisation using the theme of a ‘Magic Carpet Ride’. Believing that work/life balance is too simplistic, Mary specialises in helping people achieve balance in all aspects of their lives. Through goal-setting and action-planning she helps them move forward at the right pace for them whilst making real progress. “Mary has helped me so much, to the point where I feel like I can breathe so much easier,” says one of her clients. Mary’s other loves are writing, art and photography, which in turn add depth and substance to her business. For relaxation, she also walks the Cornish coast and spends time tending her garden with her husband and two cats. 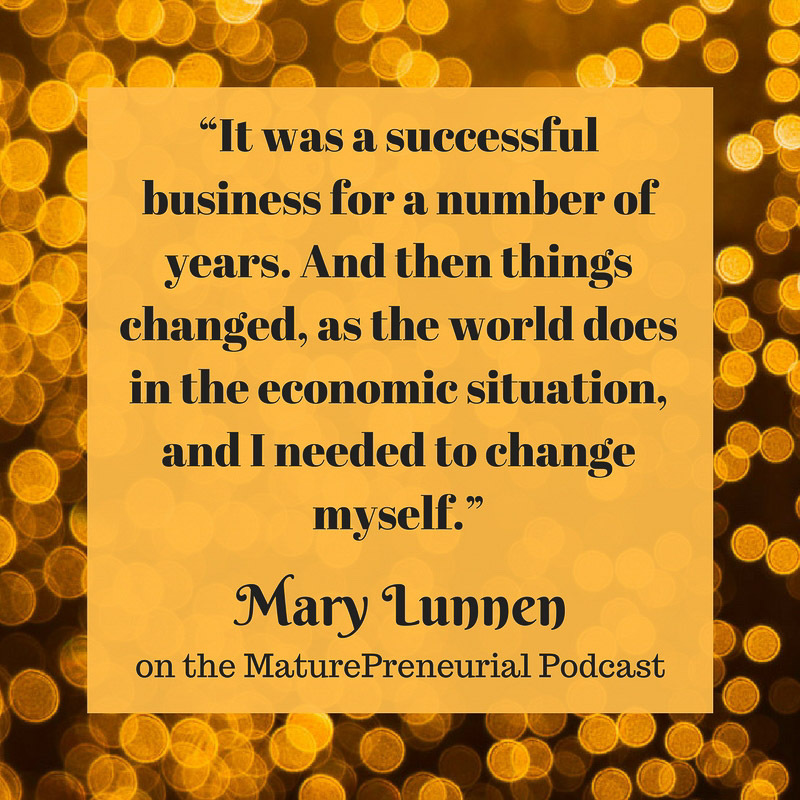 What did you do before you started your entrepreneurial venture past the age of 40? When you said you first did your entrepreneurial venture, what were you doing? How did you sell the jewelry? Did you make these products yourself, with the enamel jewelry and silk scarves? What is your entrepreneurial venture now? What do you mean by redundancy? When you started your business what was the most successful idea that you implemented for it? Since you started your life coaching business, what is the least successful idea you had that you changed tactics to fix? What gave you the courage to go the life coaching business, why didn’t you just go for another job? You said you wrote some books, would you like to talk about that? Was it satisfying writing these books? How can people get this books? Did you design your website yourself? Is there anything you wish you had done differently once you started your business? How many people do you coach at any given time? How long is a typical client with you? Could you explain life coaching? People can buy these rediscovery cards, correct? What is the most important advice you’ve gotten from somebody? Do you see any pitfalls for people over forty starting their entrepreneurial venture? Do you always have a different coach or do you bounce around and get different coaches? What is the most important advice that you could tell someone to do when they first start there own venture? Do you read business books? Is there one that is more life coaching related?